Discussion in 'Team Fortress 2 Talk' started by tf2.com, Mar 30, 2018. 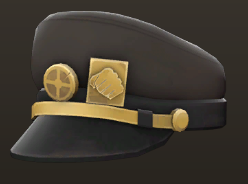 Glad to see that the Jojo hat was fixed. We now don't have to worry about snipers crashing the servers anymore with there Sniper rifle when shooting the Tank. Never let anyone tell you that you cant create a map just because it's for a gamemode that has a limited pool. It's for the learning experience.